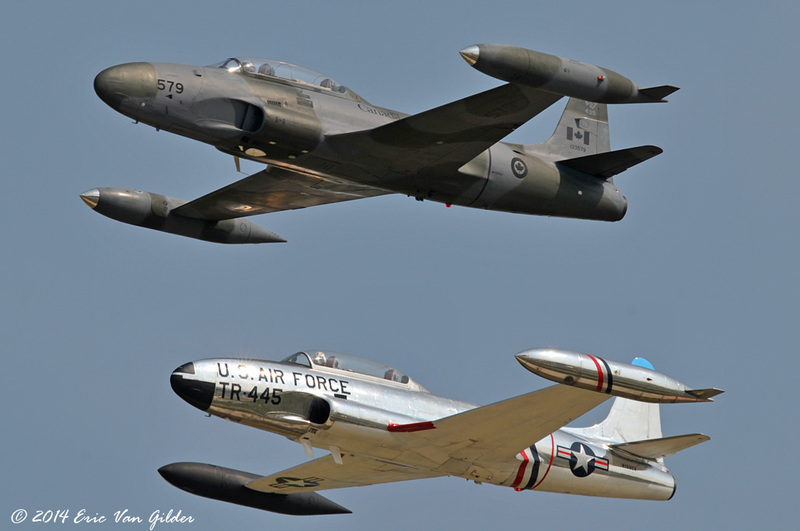 The Lockheed T-33 made it's first flight in 1948. 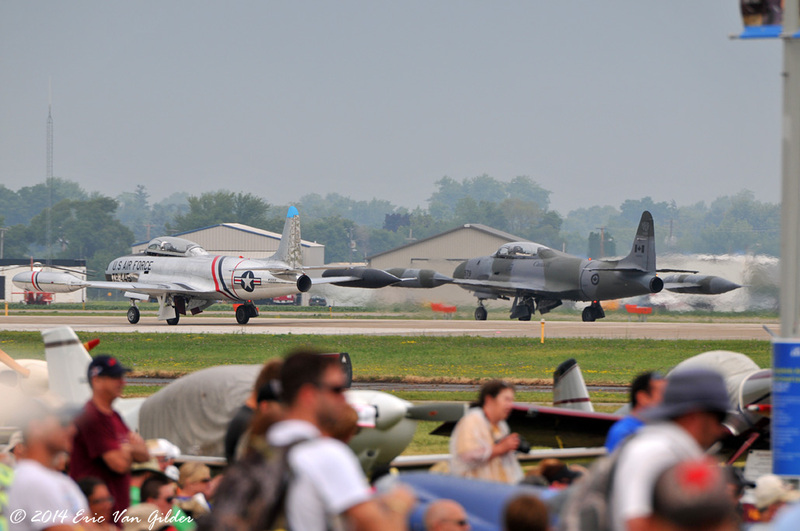 It was developed from the Lockheed P-80. 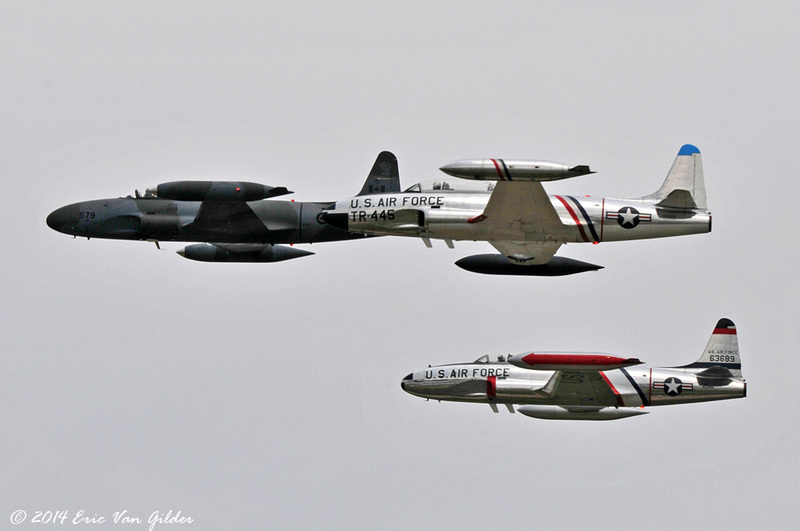 They were flown by over 30 countries for many years. 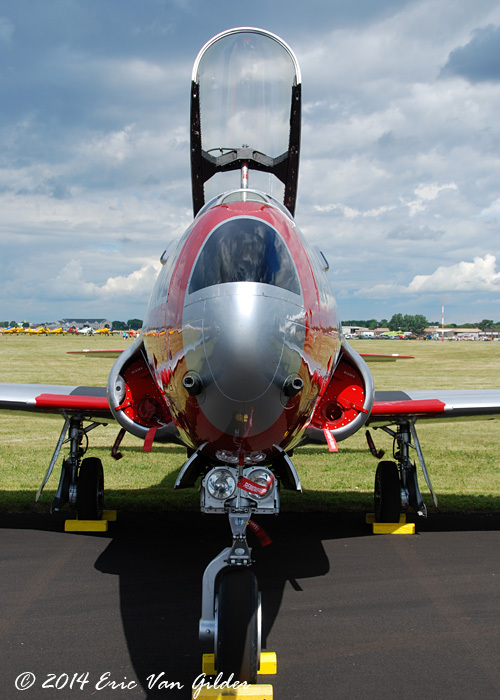 Some countries retired their last T-33s in the 1980s and 1990s while the Bolivian Air Force still fly 34 T-33s. 6,557 Shooting Stars were made between 1948 and 1959. 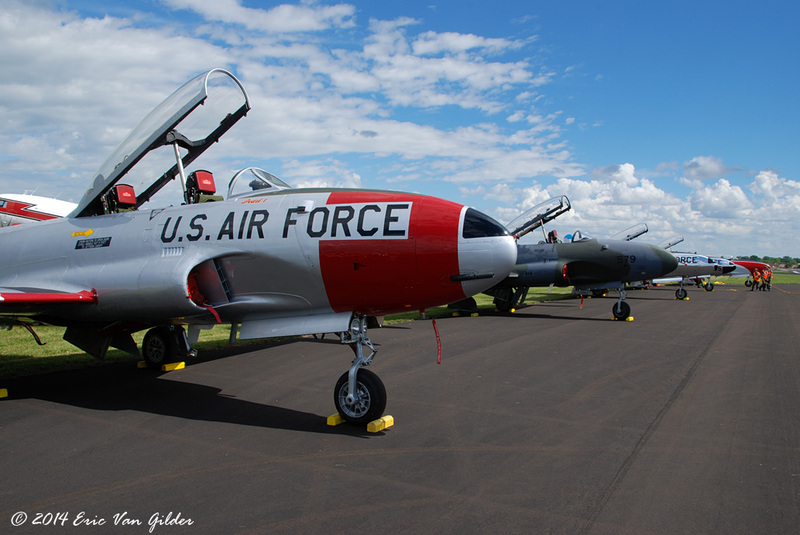 There were 5 T-33s at AirVenture this year.